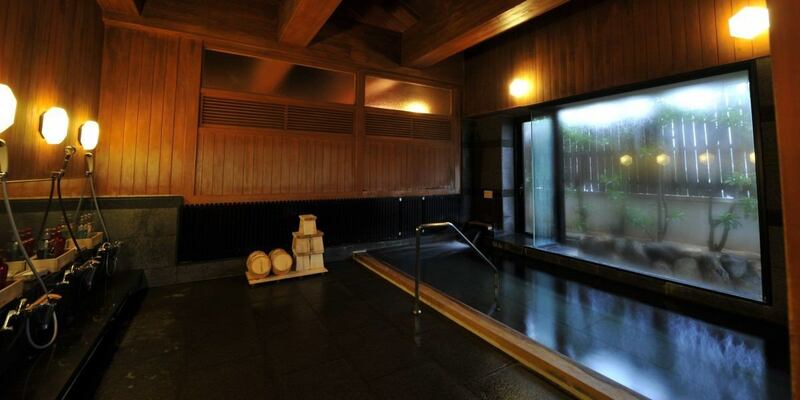 Moist and moisturizing hot water "Hagi Onsen Town"
There are salty hot springs like sea when licking.Because it has high bactericidal effect ◎ to cuts etc. It acts like a natural moisturizer. Please heal your daily fatigue. Please spend a relaxing moment while looking up the soft sunlight to be inserted through the window of the garden garden. It is one of the most common spring quality in Japan. Also called alias "hot hot water" "warm warm water". That is because the ingredients of the hot springs prevent the evaporation of perspiration from the skin and the effect of keeping warmth is high. Please be careful around the hot water as there is a risk of getting hot water accident when entering. Bruises, burns · burns · chronic skin diseases · frail children · chronic gynecological diseases etc. ※There is no outdoor bath / family bath.Please note. Please break down the balance with big tummy, it is easy to overturn, or give a stomach by falling and enjoy a relaxing time. Please enjoy the hot spring.